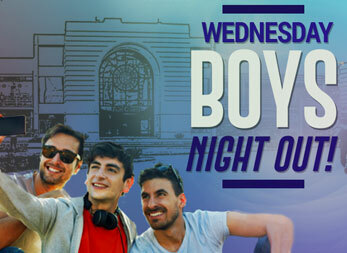 Say hello to Monday Mazay !! 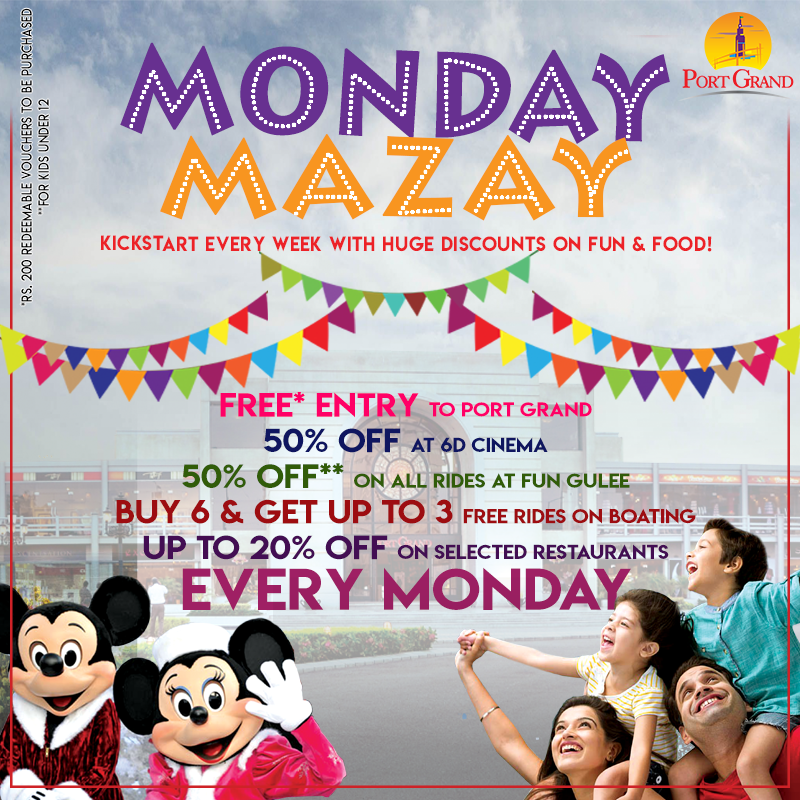 Karachi now kick start every week with huge discounts on fun & food and avail FREE ENTRY every MONDAY!! 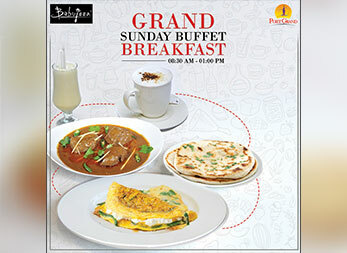 Now serving desi and continental breakfast with exciting fun activities for all ages and by the way ENTRY IS FREE! 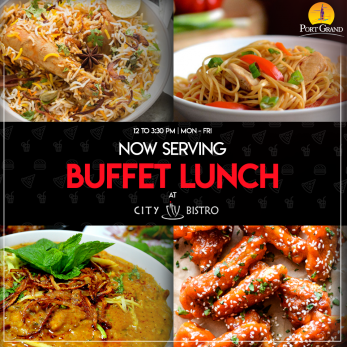 Adding one more destination to your lunch feast, City Bistro will be serving its' Lunch Buffet with a variety of desi and continental dishes in just Rs 899! 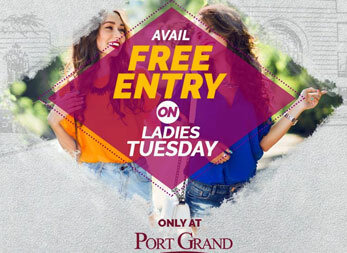 We welcome all gentleman every Wednesday. 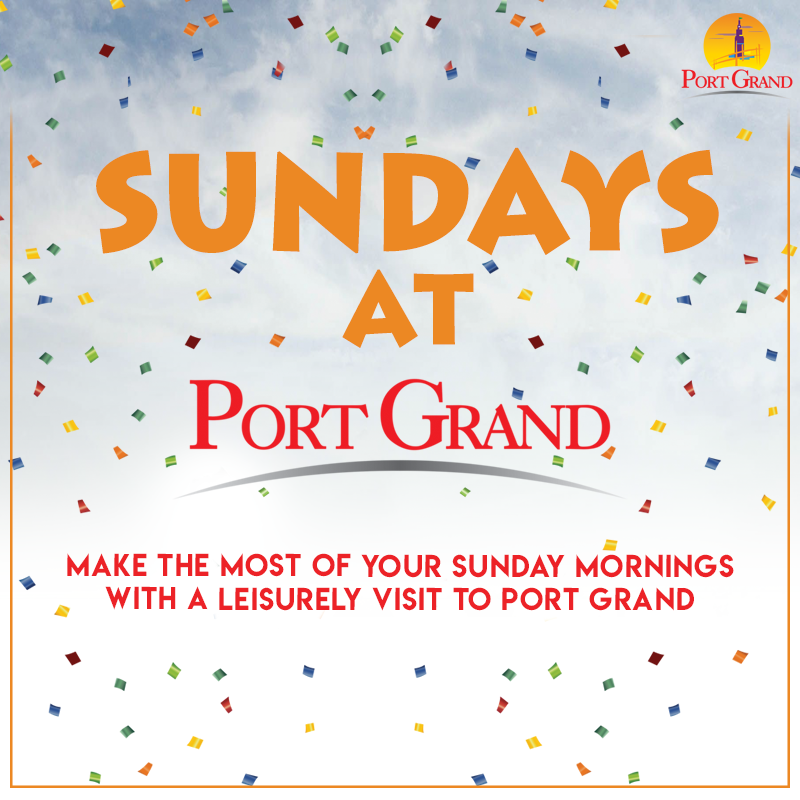 So bring your mates and enjoy today’s cool fresh air at Port Grand.